The number 13 has been unlucky for centuries. Some historians peg the superstition to the thirteen people who attended the Last Supper (neither Jesus nor Judas came out of that one OK), but ancient Babylon's Code of Hammurabi omits the number 13 in its list of laws, so the superstition dates back to at least 1700 BC. Thirteen is so unlucky, in fact, that in 1881 an organization called The Thirteen Club attempted to improve the number's bad reputation. At the first meeting, the members (all 13 of them) walked under ladders to enter a room covered with spilled salt. The club lasted for many years and grew to over 400 members, including five U.S. presidents: Chester Arthur, Grover Cleveland, Benjamin Harrison, William McKinley and Theodore Roosevelt. Despite the club's efforts, triskaidekaphobia (that's fear of the number 13) flourished; even today, most tall buildings don't have a 13th floor. The number's association with Friday, however, didn't take hold until the 20th century. In 1907, eccentric Boston stockbroker Thomas Lawson published a book called Friday the Thirteenth, which told of an evil businessman's attempt to crash the stock market on the unluckiest day of the month. Thanks to an extensive ad campaign, the book sold well: nearly 28,000 copies within the first week. In 1916, the book was turned into a feature-length silent film. Wall Street's superstitions about Friday the 13th continued through 1925, when the New York Times noted that people "would no more buy or sell a share of stock today than they would walk under a ladder or kick a black cat out of their path." Some stock traders also blamed Black Monday — Oct. 19, 1987 — on the fact that three Fridays fell on the thirteenth that year. The Stress Management Center and Phobia Institute estimates that $700-$800 million dollars are lost every Friday the 13th due to people's refusal to travel, purchase major items, or conduct business. Then came Jason. In 1980, Paramount Pictures released Friday the 13th (tagline: "Fridays will never be the same again"), a slasher flick about a series of murders at a summer camp. 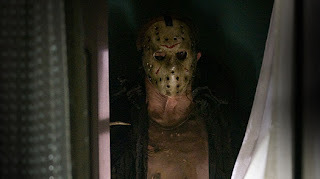 Apparently Jason, born on Friday the 13th, chooses that date to take revenge on oversexed campers much like the ones who allowed him to drown in Crystal Lake. So much for trust falls and lanyard making. Friday the 13th grossed almost $40 million at the box office and inspired a long-running franchise: Friday the 13th Part II; Friday the 13th Part III; Friday the 13th: The Final Chapter (it was not); Friday the 13th: Jason Lives; Friday the 13th: The New Blood; Friday the 13th: Jason Takes Manhattan (he left the summer camp? ); Jason Goes to Hell: The Final Friday; Jason X; and 2003's Freddy vs. Jason. Maybe the number 13 isn't so bad afterall. •In 1913, a New York pastor tried to assuage couples' fears by offering to marry them for free on Friday the 13th. • In 1939, a small town in Indiana forced all black cats to wear bells on Friday, October 13th. When the measure seemed to work (nothing bad happened, at any rate) the town continued the practice for the next three years. •At the time, October 13, 1989 was the second largest Dow drop in history. Nicknamed the "Friday the 13th mini-crash," these days it's not even in the top 10. That might be the scariest fact of all.